Conversional Marketing is based on a state of negative demand, meaning that a significant proportion of the market or market segment dislikes a product or service or even an existing condition. Conversional Marketing is the task of transferring this state of negative demand to positive demand. “Don’t drive to the city, take mass transit”, many commuters know the hassle that comes with driving to the city, whether it be the price of tolls and gas or just the annoyance of morning and evening traffic. This negative demand on driving to the city is transferred to positive demand by “taking the train”. 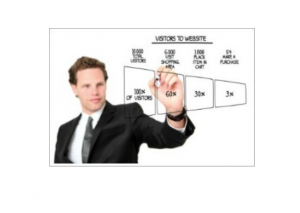 There are many common Conversion Marketing services a company can use to transfer negative demands. One service is Targeted Offers, this process attempts to fit the right promotion with the right customer based upon behavioral and demographic info. It would not make sense for a company to promote the sale of snow blowers on the Gulf Coast, they are not needed in that demographic. Another service that can be used is called Co-browsing. This is a tool used as a support agent to assist customers in transacting online. This is extremely important for a company that relies heavily on their web page to attract customers. It is important to have support agents like Co-browsing present and active on your company’s web page. Consumers tend to get frustrated and abandon sites after three clicks. Companies need to make sure that their web pages are user friendly and not complicated or this will lead to negative demands from the market. It is also very important for a company to reach their consumers on a personal level to transfer negative demands to positive demands. A great way to do this is through email personalization. These are personalized emails sent to the company’s consumers. They can include personal recommendations on products or services or even rewards they have earned by sticking with your company. Emails that are personally tailored to each recipient are beneficial to connecting to your consumers on a personal level and making sure these customers keep coming back.